Tansy (Tanacetum vulgare) is a European perennial herb that was once used heavily in natural medicine. It has become naturalized in many parts of North America and is even considered a noxious weed in areas like Colorado, Montana, Wyoming, and Washington State. Despite this, tansy is a pretty little plant that adds potassium to soil while repelling several annoying insect species. Once you have tansy seeds, however, learning how to grow tansy will be the least of your problems. This plant is a prolific re-seeder and can become quite a nuisance in some gardens. The herb garden was the center of the home in the Middle Ages and eras prior. Today’s tansy uses in the garden are much more limited due to modern pharmaceuticals and different tastes over the years. However, this forgotten herb provides ornamental appeal and still packs all the medicinal and culinary wallop of the past. 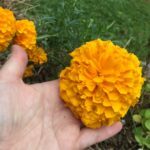 It is up to us to rediscover the healthy, natural tricks of our ancestors and decide for ourselves if herbal lore is useful to us today or simply an attractive addition to the perennial garden. Tansy herb plants are easy to grow and have lovely flowers and foliage. They are rhizomatous perennial members of the Daisy family and may achieve 3 to 4 feet in height. The foliage is attractive with delicate fern-like leaves; however, they smell rather strongly and are not an aromatic delight. Tiny yellow button-like blooms appear in late summer into fall. Unlike most daisy members, the flowers lack ray petals and are instead discs of less than 3/4 of an inch in width. These are the source of the seeds, which have become a nuisance in many northwest gardens. Numerous fine seeds are produced on the numerous flower heads and readily germinate and start new plants. If any tansy plant info is taken away from this reading, it should be the importance of deadheading to prevent a rampant takeover of the plant in your garden. In areas where the plants are a nuisance, growing tansy herbs may not be the best idea unless you are up for constant deadheading or can contain the plant in another manner. That being said, tansy herb plants are unfussy, reliable perennials that thrive in any area with at least 6 hours of sunlight. This makes them perfect for either full or partial sun locations. Once established, tansy is drought tolerant and thrives in a variety of soils. In early spring, cut plants back to within a few inches of the ground to force compact growth and a clean appearance. If growing tansy herbs from seed, plant in fall in well worked soil to allow seed to experience cold stratification. Tansy makes an excellent companion plant for many types of vegetables, as it contains compounds which repel certain insect pests. It has a camphor-like scent that not only sends insects running, but also has uses in killing parasites internally in both humans and animals. Tansy adds potassium to the soil, one of the macro-nutrients all plants require for good health. Use it in kitchen herb containers to flavor stews, salads, omelets and more. It is also lovely when added amongst other herbs, both for the little flowers and the elegant feathery foliage. In years gone by, tansy was also used as a natural textile dye. Tansy herb plants also make fine additions to everlasting bouquets, as the flower heads dry easily and hold both shape and color. Read more articles about Tansy.